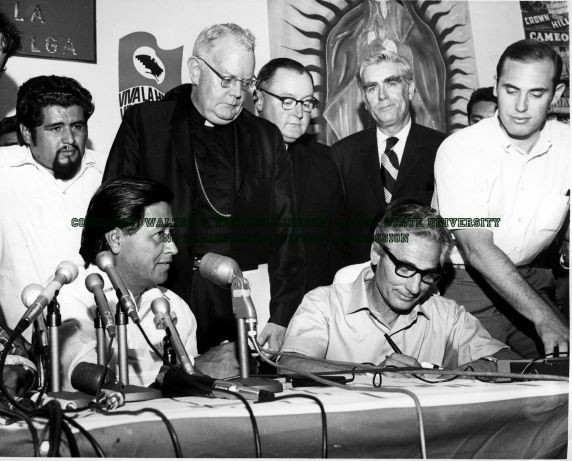 John Giumarra signs the first grape contract with the United Farm Workers Organizing Committee (UFWOC), ending the five-year strike. Second row: Manuel Uranday, Msgr. George Higgins, Bishop Joseph Donnelly, Bill Kirchner, and Jerry Sherry, editor of the “Catholic Monitor”, and John Guimarra, Jr., Delano, California, July 29, 1970.